OG alumni Chris Weigl was killed in a collision with a tractor-trailer while riding his bike on Thursday morning, Dec. 6 in Boston, Massachusetts. 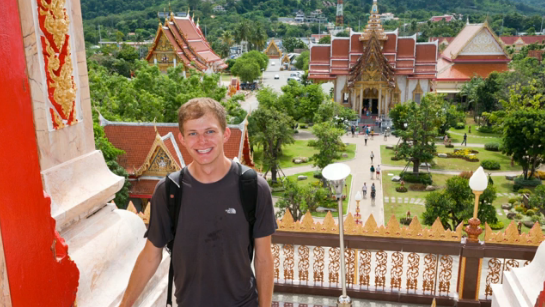 We had the pleasure of having Chris on our Southeast Asia program in 2011 and as an OGer, he was a valued part of our family and community of backpacktivists. In my eyes, Chris was an extraordinary man. His curiousity, enthusiasm, smile, honesty and energy was admirable; any life lost is a tragedy but when it is a young life with incredible potential…it’s beyond tragic. Fortunately, he will be remembered by many, I am sure, in wonderful ways and that is something that not even death can take away from Chris. Our deepest condolences goes out to the Weigl family. Watch this video of Chris discussing his love for photojournalism here.